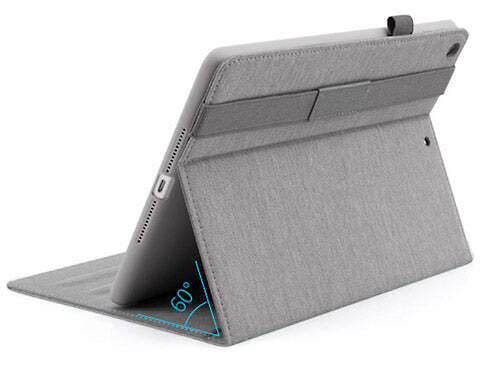 The sleek and stylish CinemaStand case for iPad lets you enjoy movies and TV wherever you go. 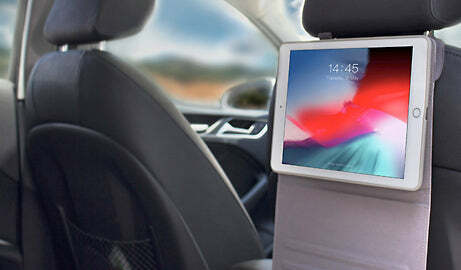 Featuring a premium waterproof fabric cover that doubles as a multi-angle stand, and an elastic band for attaching your iPad to the headrest in your car, the CinemaStand makes long car trips more enjoyable for back seat passengers. 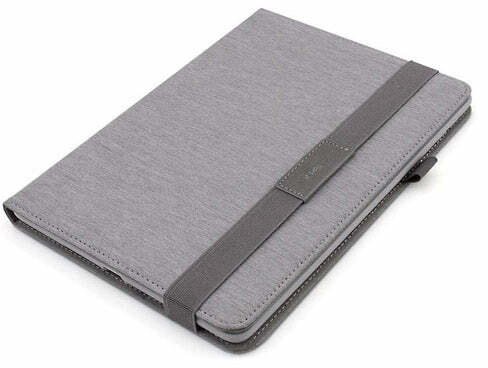 An integrated strap holds your Apple Pencil or stylus when not in use, while the flexible silicone inner shell ensures a secure fit and ample drop and scratch protection. The CinemaStand features an elastic strap for attaching your iPad to the headrest in your car, making long trips more enjoyable for backseat passengers. 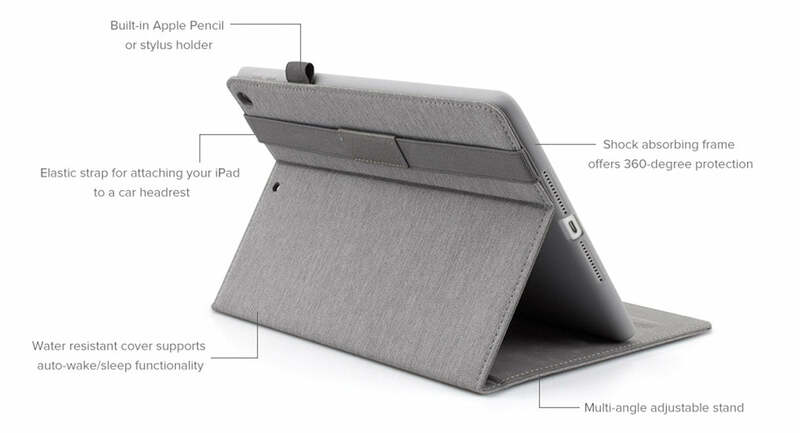 The versatile cover allows you to prop up your iPad at either 30°, 50° or 60° so you can always find the perfect viewing angle. CinemaStand features a shock absorbing TPU inner shell that provides a secure fit and 360° drop protection. 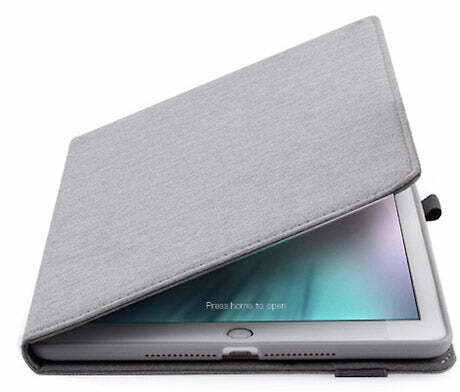 CinemaStand features a magnetic cover design that uses the sensors in the iPad to automatically wake it from sleep when the case is opened, and return it to sleep mode to conserve power when the case is closed. Due to small differences in the size of each iPad model, please ensure you select the correct CinemaStand model to guarantee a perfect fit. If you have any questions please contact us.